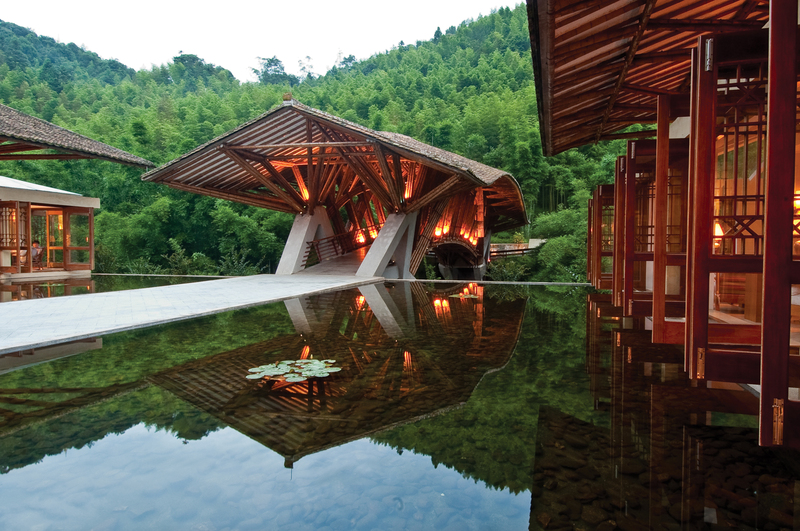 Hitesh was the Planning and Design team leader that planned, designed and supervised the construction of the first ecolodge and wellness center in China within Nankun Mountain Reserve. EDSA provided full services (from Conceptual Design to Construction Observation) and there were five Architects (including Hitesh) under the leadership of well-known Australian Environmental Architect, Paul Pholeros. Also in the team were the world’s leading bamboo Architect, Simon Velez from Colombia and Feng-Shui Master Architect Michael Chang from Hong Kong. Crosswaters Ecolodge has won several International ‘oscars’ for its planning and design and is mostly constructed with environmentally friendly materials. All the buildings have a ‘continuity of the vernacular’ style deeply rooted to the region, and the gardens have rich-chinese history and planted with native species. The lodge includes guest villas and rooms, conference center, wellness center, nature activity center, trails etc (3/03 to 1/07).